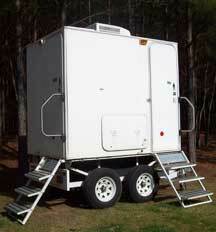 A top of the line four stall restroom trailer. Amenities include hard wood floors, marble counter tops, stainless steel sinks, heat and a/c along with a blue tooth stereo system. 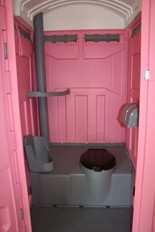 This unit has three unisex stalls as well as one mens only stall. ASAP Glenn Company will deliver/set up the unit as well as stock it with tissue paper, soap & paper towels for your event. 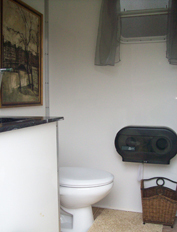 A Luxury Restroom on wheels with two full bathrooms including porcelain commodes, marble countertops and sinks, mirrors, soap, paper towels, and a window. The unit is lighted and air-conditioned with running water. 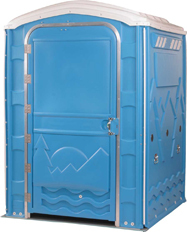 Requires a 110 voltage outlet and access to a water supply. 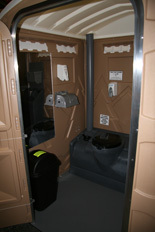 An extra large (5'x5') luxury restroom with flushable toilet, a sink, soap, hand sanitizer, mirror, and trash can. 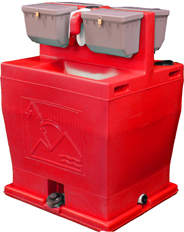 A unit that flushes and includes a hand washing sink inside. Also includes hand sanitizer, soap, water, paper towels. 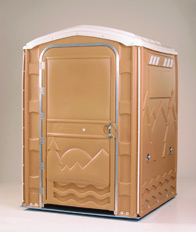 An extra large (5'x5') restroom that is wheelchair accessible. Hand sanitizer is available. 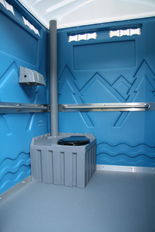 Each hand wash unit includes 2 sinks, a dispenser of soap and paper towels. 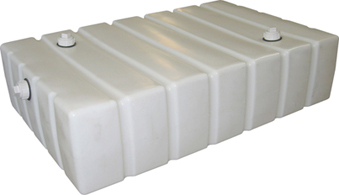 We also offer roll-off waste containers! There is no longer any need to establish credit, fill out forms, or build a new relationship with multiple companies. Let us be your complete solution!